ISIS bombings killed nearly 150 people and wounded at least 200 in Jableh and Tartous on Syria’s Mediterranean coast on Monday. Deadly attacks were also carried out by Islamist militants in other locations of the Syrian province of Latakia that day in which, according to some reports, some ethnic Armenians were also wounded. 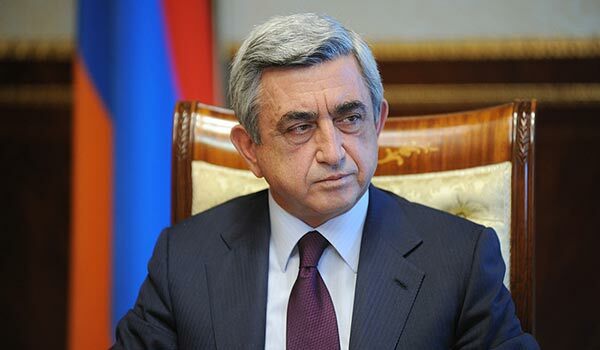 In his message, the text of which was disseminated through the official presidential website, Sargsyan said: “These horrifying crimes against the civilian population of Syria can have no justification. We strictly condemn terrorism in all its forms, and call on the international community to continue the fight against this evil with united efforts. Up to 20,000 ethnic Armenians fleeing civil strife in Syria have taken refuge in Armenia since the beginning of the armed conflict in 2011. Many have also left their homes in Aleppo and other cities and towns in this Middle East country and moved to neighboring Lebanon, went to Europe or America during this period. Tens of thousands of Armenians are still believed to remain in Syria, a country now being torn apart by a multi-party war.